AccessAdvisr was developed by Integrated Transport Planning (ITP) and Rob Trent to provide a real-world view of how easy-to-access different places and transport stops are for disabled people. AccessAdvisr Board members are Rob Trent and Martyn Sibley. Rob is also a mouth painter with the Mouth and Foot Painting Artists. Examples of his work can be found here. 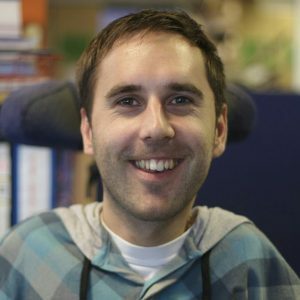 Martyn is a disabled author, entrepreneur, and influencer. Through his blog and Disability Horizons magazine, he has built a huge tribe of disabled change makers. He co founded Accomable, an accessible travel accommodation site, which was later sold to Airbnb. Currently speaking and coaching globally, he is bringing his experience and connections to AccessAdvisr. “Yes, itʼs accessible, thereʼs only two steps to navigate”. “We have a ramp allowing access to our building. As a wheelchair user I have often come across comments like those above. However, on many occasions the reality differs greatly from the description. “Ramps” are more like ski slopes, and “access to our building” is usually past the cleaners equipment, through the kitchen and into the service lift. Things are very often not quite what they seem. Out of that frustration AccessAdvisr was born. I wanted something for users who face the same challenges as me. AccessAdvisr was created to provide a user-led real-world view of how easy-to-access different places and transport stops are for disabled people. The aim is to provide a simple mechanism to allow people with mobility challenges to rate and find first-hand accessibility information. Photographs can be uploaded to the site which further helps to show off accessibility”.